Silk Manju, Sathyanarayana, Basavaraju, Narasimha Murthy and Chetan. Title - Ring Master, Producers - Silk Manju, Sathyanarayana, Basavaraju, Narasimha Murthy and Chetan. Direction - Vishruth Nayak, Music - Ravi Basrur, Camera - Cine Tech Soori, Cast - Arun Sagar, Shrunga, Anushri and Shwetha . It is cruel and violent dream. 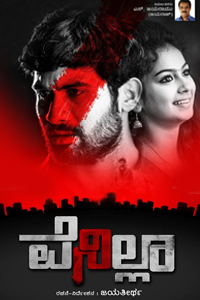 Inspired from `Misbehaviors', the similar film `Aatagara' was seen by Kannada audience recently. For these two films `Crime and Confession - `Table 21' Hindi film hit the screen sometime ago. For everything Agatha Christie novel is the base. In punishing the wrong doers and sending a message on how to behave `Ring Master' has turned out to be a cruel dream, the vociferous Arun Sagar with chilling moments shakes the mild hearts. His talent is abundant. But director Vishruth Nayak seems to be have no control over this art director turned actor Arun Sagar. Gone are the days of taming the wrong doers in sophisticated manner. To keep the fear of punishment for wrong steps taken in the life, the present generation needs only this kind of medicine is the mindset of debutant director Vishruth Nayak. A wayward youth who has not gone to college staying in city from last two years - Rickey (Shrunga), Madhu (Anushri) a culprit who killed four of a family in her drunk mood, Veda (Shwetha) cheated a friend very close to her of Rs.50000 and sharing the bed are culprits in the eyes of `Ring Master' - Arjun Sagar. He comes to supply drugs in the name of `Bangiranga' on 31st night to invite the New Year. The table talk slowly transform to a different path. The three are given a chance to confess their mistakes. Finally with all hullaballoo you find something strange. Arun Sagar as Ring Master `Bangiranga' is very wild. He should have controlled himself. Anushri, Shrunga and Shwetha are quite OK. There are two songs in the film from Ravi Basrur worth hearing. Camera work by Cine Tech Soori is admirable. In one apartment the close up shots and angles chosen is a good lesson for the upcoming cinematographers. Dashing in style and violent in narration is this `Ring Master'.